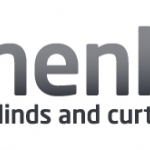 we offer over 30 years of experience installing blinds/curtains/awnings and shutters. Covering the south west, south and midlands. 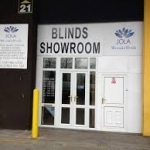 We have worked with some of the largest construction companies and well known interior designers in the UK as well as training installers on specialist products for blind manufacturers and blind shops. If you need a professional installation company or just advice give us a call we are here to help!! Getting the right interior for your home can be tricky. Some people become frustrated by the seemingly endless choice of fabrics, wallpapers and paint that is now available – that’s where we can help! Call in to the showroom for free advice and you will be on the first step to getting the interior of your dreams! …and manage the whole project so you don’t have to! 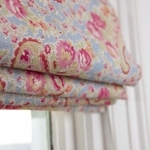 We are a family business based in Ely, offering bespoke blinds and curtains. 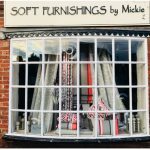 Mickie has over 20 years in the soft furnishings industry. Come into the shop for a browse and a chat about what you want to make your house your home. Mickie and her team are on hand to help nurture your ideas and find designs and fabrics to create your own unique surroundings. 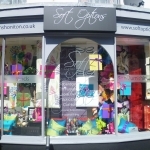 There is an extensive range of fabrics, wallpapers, trimmings, homeware and accessories available. 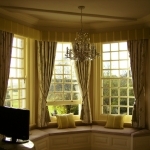 Bespoke curtains, pelmets and Roman blinds – all fitted if required. Wood, metal and venetian blinds. Cushions, loose covers, beautiful home accessories and much more! All types of blinds supplied and fitted. We manufacture and exports all types of cotton trims and tassels.Also our products are available online http://www.albapompom.com. All orders are free shipping and we haven’t minimum order qty. 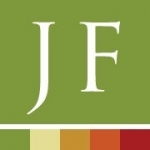 Just fabrics is one of the leading independent fabric retailers in the country. We have two shops, located in Burford (Oxfordshire) and Cheltenham (Gloucestershire). 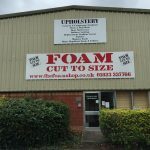 Both shops stock thousands of metres of fabric, a huge selection of tracks and poles, trimmings, roller blinds, vertical blinds, wood venetian blinds, shutters, cushions, PVC tablecloth, bespoke furniture and much more. We also offer a made to measure service for curtains, blinds, cushions, valances, headboards and all other soft furnishings. All made in our workroom by our skilled workroom team. We have a full re upholstery service as well, and can restore and recover any furniture to its former self. 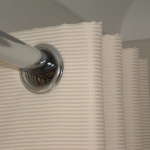 Constables Curtain Services are specialist Curtain & Soft Furnishing makers. Specialising (but not exclusively) in working for the trade. 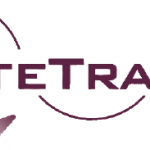 Trevor the proprietor has been ‘in the trade’ for over 30 years, so has a extensive knowledge of the industry. We work to a 3 week maximum turn around of all commissions, so that once we have your instructions and fabrics you can book your fitter with confidence that the work will be there ready to fit. So if it hangs from a track, pole, board or a wall, loose covers and cushions or ‘soft’ blinds we can probably make it. For a quality product delivered on time and at the right price, contact us. Modern or Traditional, we transform furniture to as good Asnew. We are all about quality. From the materials used, workmanship and service provided. 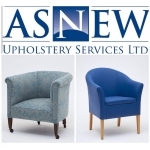 We are proud members of the Guild Of Master Craftsmen and Checkatrade.com which means when you choose Asnew, you can be sure that your furniture is in the hands of reputable craftsmen and women. 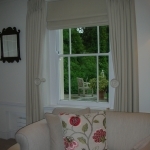 Bespoke roman blinds and soft furnishings. RDKmedia Digital Marketing Agency specialises in Web Hosting, SEO / Search Engine Optimization, web design, video production, graphic design, app development, and Copywriting in San Francisco USA & Melbourne Australia. Estil is a curtains and blinds specialist dealing with traditional and modern styles of curtains and blinds. We also have automated blinds and curtains and have a range of automated options for your selection. Whether you like the complexity of venetian blinds to the simplistic wooden blinds. We have the right selection of blinds for you. We also offer a range of curtains with the use of exquisite materials. Ripplefolds, double pleats. Interior designer & soft furnishings maker for the Cotswolds / Glos area. I can help you create your perfect space. lampshades, wallpapers, poles, furniture painting. 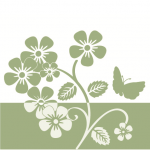 Helen Izzard Designs is an independent interior design and soft furnishings specialist based in the heart of the Somerset Levels in Somerset. 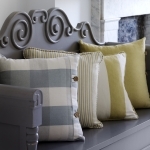 We offer a bespoke made to measure soft furnishing service, curtains, blinds, cushions, pelmets, lampshades, headboards and all other soft furnishings and accessories. We can also source fabrics from the smaller British fabric houses as well as the larger international fabric houses, such Vanessa Arbuthnott, Kate Forman, Peony & Sage, Cabbages & Roses, Sarah Hardaker, Emily Bond, Ian Mankin, Elanbach, Abraham Moon & Sons, Voyage Decoration. Based in Somerset, we supply soft furnishings across the UK and offer a courier service using the most reputable tracked and insured couriers. We also provide detailed hanging and fitting instructions to show you how to dress your furnishings. If you are local to us, we can arrange a home visit with our range of fabric sample books and we can also arrange to hang and dress your furnishings once installed. Our passion for fabrics and accessories is combined with our attention to detail and quality of service and workmanship. Our bespoke design service offers unique and stylish interiors individual to you, helping you to furnish your home beautifully and create the interiors you love. Roof Blinds are specialised and manufactured by Radiant Blinds which produces cheap conservatory roof blinds around UK. Remote controlled roof blinds perfectly manufactured for easy use. We make traditional roman blinds with a modern twist – a high-performance thermal core with a unique magnetic edge seal. They are made to measure to fit your windows snugly. They will substantially reduce your heat loss & remove down-draughts from single glazed windows. They are ideal for a wide range of windows and are particularly suited to Listed Buildings and traditional sash windows where they can usually be fixed to the existing frame or sash-box. The inner layers incorporate a 7mm ‘Thinsulate’ core (a highly insulating synthetic fabric), with two layers of aluminium faced Mylar (‘space blanket’ material as developed by NASA) either side. They have a traditional fade-resistant poly cotton lining and a lovely linen effect polyester fabric to the room side. Recycled fabric versions available. Custom House Design is a unique Interior Design business based in the heart of the Devon countryside. 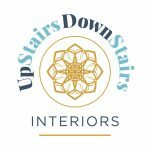 We offer a complete Interior Design service from the supply of soft furnishings to the total interiors make-over for your home or business be it in Exeter, Devon or further afield. 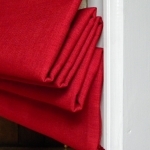 We stock a wide range of curtain, blind & upholstery fabrics, trimmings, carpets and wall-covering samples. You are welcome to come and to browse or to pick our brains for design tips and in-depth product knowledge. We can help you to choose furnishing fabrics for your home and help design your living space. For a small fee to cover our expenses (refundable on ordering), we will gladly come to your home. 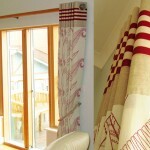 All our curtains, blinds & furnishings are hand made to order, and we only supply made to measure tracks & poles. 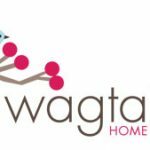 Handmade curtains, blinds and home accessories. Made to measure – City & Guilds qualified. Honey Long & Prue Stent, Nike Savvas, Peter Callas, Maria Fernanda Cardoso, Phaptawan Suwannakudt, Cyrus Tang, Imants Tillers, Lydia Wegner, Guan Wei, Anne Scott Wilson, Catherine Woo, Rose Farrell and George Parkin, Eugenia Raskopoulos, Jacky Redgate, Julie Rrap, Tracy Sarroff, Murray Fredericks, Guo Jian, James McAllister, Vanila Netto, Justine Khamara, Pat Brassington, Lyndell Brown and Charles Green, Peter Daverington, John Davis, Janet Laurence, Sheena MacRae, Dani Marti, Robert Owen,, Sam Shmith, Huang Xu, John Young and Anne Zahalka. 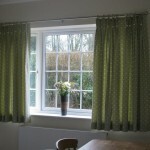 Handmade window treatments, specialising in Roman blinds. 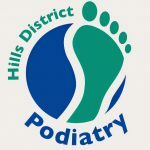 I cover the central and north west areas of Bristol. Everything rom a simple cushion to a complete room makeover. 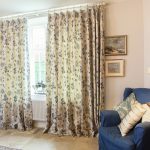 Established in June 2007 and working from my workshop in the picturesque City of Salisbury,I offer a Curtain & Roman Blind making up service using customers fabrics. I also make cushions, lampshades , window seats and upholster small pieces of furniture. I will also take up and alter existing curtains. 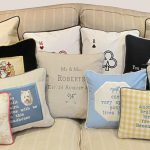 R J Phillips Interiors is a friendly, family run soft furnishing company based in Newport, South Wales, that delivers high quality, bespoke curtains, blinds and accessories for your home. A wide selection of fabrics, linings, blinds, poles and tracks can be brought to you in the comfort of your own home, allowing you to identify products that compliment your décor and style. Our company is based on the belief that our customers’ needs are of the utmost importance, we are committed to meeting those needs. As a result, a high percentage of our business is from repeat customers and referrals. At R J Phillips Interiors we like to think that we can offer you the full package. We measure, design, consult and fit. We even bring everything to you so that you can view the products and ideas in the comfort of your own home. The process is very simple, you are under no obligation and it is FREE.